Bidding on inventory happens in microseconds in the digital paradigm of media buying. Real-time buying happens so fast that most of the tools used to detect and combat fraud use software solutions that identify fraudsters before the fact. Or, they parse through data at a later time to determine what percentage of inventory bought and sold was fraudulent. Equinix, a data center provider, says software solutions are not enough. The actual infrastructure of the Internet helps to enable fraud. “The Internet wasn’t designed for machine-to-machine programmatic decision-making and transactions,” says Robert Blackburn, vice president of sales for Equinix. 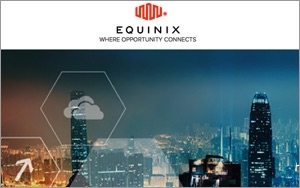 Essentially, Equinix has set up an ecosystem that allows its customers to keep their transactions and fraud detection services within one physical location, minimizing the volume of timeouts that buyers face and keeping inventory clean. Forensiq, an ad fraud and detection company, has partnered with Equinix to offer close to real-time fraud detection using the milliseconds saved with the direct interconnection. By placing housing ad exchanges, networks, cloud services, demand and sell side platforms and data vendors alongside each other, Equinix is able to bypass Internet service providers and connect the various companies directly to each other. That reduces the time between offer and bid from between three and 60 milliseconds (in the worst cases) to less than a millisecond. Forensiq CTO Mike Andrews says their fraud detection takes between one and three milliseconds on top of that. Within a closed ecosystem, Blackburn adds that media buyers can complete up to 50% more of their bids, because network timeouts or bid windows don’t affect direct connections as easily. Within such an ecosystem, an advertiser in Hong Kong can effectively compete with advertisers from New York, London, or Dubai for inventory without losing an edge due to latency.